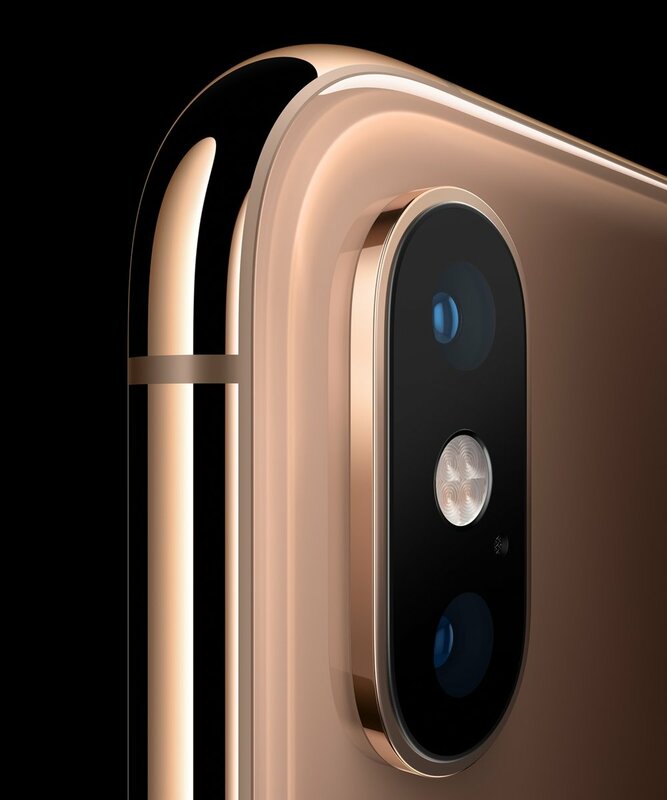 Apple has announced the iPhone Xs and iPhone Xs Max, which feature Super Retina displays, a faster and improved dual camera system, the first 7-nanometer chip in a smartphone — the A12 Bionic chip with next-generation Neural Engine — faster Face ID, wider stereo sound, a new gold finish. They also introduce Dual SIM to the iPhone. The iPhone Xs and iPhone Xs Max build on the all-screen design of iPhone X and feature the sharpest displays with the highest pixel density of any Apple device. Now offered in 5.8-inch and 6.5-inch sizes, these Super Retina displays with a custom OLED design support Dolby Vision and HDR10 and have iOS system-wide color management for the best color accuracy in the industry, says Philip Schiller, Apple’s senior vice president of Worldwide Marketing. The iPhone Xs and iPhone Xs Max offer a million-to-one contrast ratio with remarkable brightness and true black range with 60% greater dynamic range in HDR pics, he added. The iPhone Xs Max delivers a more immersive experience with over 3 million pixels for videos, movies and games, offering the largest display ever in an iPhone in a footprint similar to iPhone 8 Plus, Schiller says. A surgical grade stainless steel band now in gold joins finishes in silver and space gray. Wider stereo playback creates a more immersive soundstage, according to Schiller. The front and back glass design features the most durable glass ever in a smartphone with improved scratch resistance, while the glass back enables faster wireless charging, he adds. The iPhone Xs and iPhone Xs Max reach a new level of splash and water resistance of IP68 for up to 2 meters for 30 minutes and protect against everyday spills including coffee, tea and soda. The Apple-designed A12 Bionic features the first 7-nanometer chip ever in a smartphone that delivers industry-leading performance in a more power-efficient design, Schiller says. A12 Bionic features a six-core fusion architecture with two performance cores that are up to 15% faster, four efficiency cores that are up to 50% more efficient, a four-core GPU that is up to 50% faster, powerful Apple-designed Image Signal Processor (ISP), video encoder and more. A fast storage controller can deliver iPhone storage up to 512GB. Even with all this power, iPhone Xs offers 30 minutes longer than iPhone X, and iPhone Xs Max offers an hour and a half longer than iPhone X, between charges. The next-generation Neural Engine is built for advanced machine learning in everything from photography to augmented reality. A new eight-core design allows it to complete up to 5 trillion operations per second compared to 600 billion in A11 Bionic. Schiller says this enables new capabilities like faster plane detection for ARKit and new features that use real-time machine learning. iPhone Xs capabilities like advanced depth segmentation using the Neural Engine, Smart HDR creating photos with high dynamic range and great image detail, advanced bokeh quality in Portrait mode photos and dynamic depth of field that is user adjustable in the Photos app, are all huge improvements in state-of-the-art photographic techniques that everyone can use, Schiller says. Advanced depth segmentation in Portrait mode enables more sophisticated portraits with professional-level bokeh. New Depth Control allows users to dynamically adjust the depth of field in the Photos app both in real-time preview3 and post-capture to create portraits with a background blur. Portrait mode with Depth Control is also available on the TrueDepth camera for selfies, which includes Memoji and faster face tracking support for third-party ARKit apps. Schiller says the iPhone Xs and iPhone Xs Max deliver the highest quality video capture in a smartphone. The larger pixels and larger, faster sensor enable improved low-light performance and video stabilization, as well as extended dynamic range for more highlight and shadow detail in video modes up to 30 frames per second. Using the four built-in mics, users can also record stereo sound to get the most out of video recordings. iPhone Xs and iPhone Xs Max introduce Gigabit-class LTE for even faster download speeds4 and Dual SIM through the use of a nano-SIM and digital eSIM. 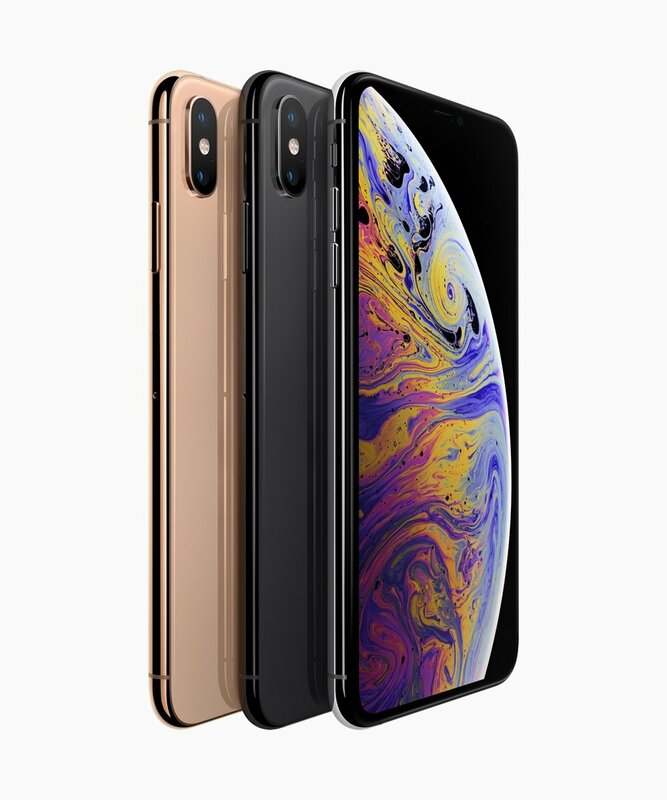 The iPhone Xs and iPhone Xs Max will be available in 64GB, 256GB and 512GB capacity models in space gray, silver and a new gold finish starting at $999 and $1,099, respectively, from apple.com, in the Apple Store app and Apple Stores, and is also available through Apple Authorized Resellers and select carriers (prices may vary). Customers will be able to pre-order iPhone Xs and iPhone Xs Max beginning Friday, Sept. 14, with availability beginning Friday, September 21, in more than 30 countries and territories including Australia, Austria, Belgium, Canada, China, Denmark, Finland, France, Germany, Guernsey, Hong Kong, Ireland, Isle of Man, Italy, Japan, Jersey, Luxembourg, Mexico, Netherlands, New Zealand, Norway, Portugal, Puerto Rico, Saudi Arabia, Singapore, Spain, Sweden, Switzerland, Taiwan, the UAE, UK, US and US Virgin Islands. The iPhone Xs and iPhone Xs Max will be available in more than 25 countries and territories including Andorra, Armenia, Bahrain, Bulgaria, Croatia, Cyprus, Czech Republic, Estonia, Georgia, Greece, Greenland, Hungary, Iceland, India, Kazakhstan, Kuwait, Latvia, Liechtenstein, Lithuania, Malta, Monaco, Oman, Poland, Qatar, Romania, Russia, Slovakia, Slovenia and South Africa beginning Friday, Sept. 28. Apple-designed accessories including leather and silicone cases in a range of colors will be available starting at $39, while the iPhone Xs and iPhone Xs Max Leather Folio will be available starting at $99.